$25 Credit towards a 2018 Session! 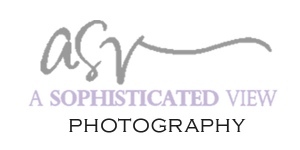 Option to purchase additional images at $20 each. Upgrade to purchase your entire gallery for an additional $150. Please arrive on time (or a few minutes early!). Arriving late will decrease the length of your session or possibly forfeit your session. Session fees will not be refunded to late clients. *Standard Session Fee must be received within 24 hours to officially reserve the spot. Sessions will be released if $150 session fee is not received. ​Locations will be confirmed as we get closer to the session dates so that we can assess the temperature/Fall color situation is looking. Gavin's 2nd birthday session was scheduled for a Saturday morning. It should have been ok, except it was supposed to be 117 degrees that day. Not even the early morning hours are tolerable when it's that hot. So we moved his session inside and had fun and stayed cool! I have had such a fun time watching this little guy (and his family) grow! I still can't believe that he is two! He is sweet and fun and it was awesome to watch him interact with his baby sister, who also snuck a few shots into the session herself. I love this little family and I'm excited to share some of my favorites from this session.